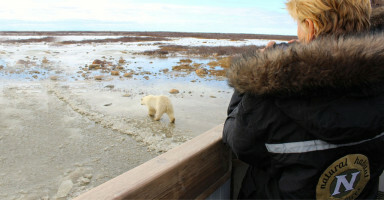 Why The Tundra Polar Bear Lodge? 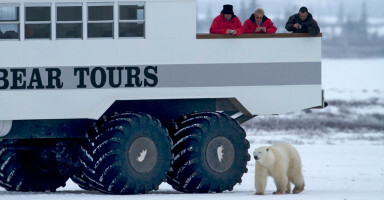 Tundra Polar Bear Lodge is the world’s most innovative, environmentally aware and downright remarkable way to meet Churchill’s polar bears. The custom-built rolling hotel is a ‘train’ of cosy bedrooms, a dining room and lounge car. 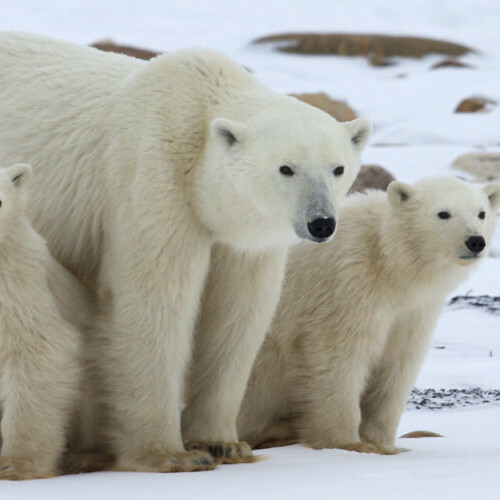 It crosses the tundra and places you in the polar bear's domain for absolute immersion in their daily lives. This is no “maybe you’ll be lucky and spot one” scenario; instead, your expert guides guarantee that you will be practically shaking hands with scores of the magnificent beasts! Please don’t try and actually cuddle them, we would get into a world of trouble for recommending that! From the open-air platforms, you can observe the bears day and night before retiring to your own private cabin to witness magical sunsets light up the arctic sky. Natural Habitat Adventures and WWF are deeply committed to providing the finest conservation-driven polar bear experiences on the planet. These fascinating bears are a vital umbrella species but they, along with their natural habitat, are facing tremendous threats from global warming. The Tundra Lodge adventure is a chance for you to be inspired and humbled, returning home as a passionate ambassador. Cosy all-terrain hotel on wheels. Guaranteed face-to-face polar bear experience.